What is the currency? Is the US dollar widely accepted? 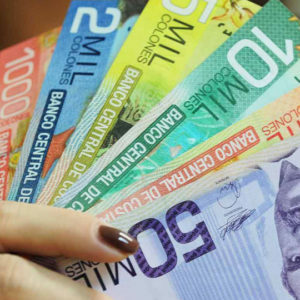 Costa Rica’s currency is the colon; there are roughly 550 colones to the dollar. But the US dollar is also quite widely accepted especially in tourist areas and generally most businesses will give you a fair exchange rate. 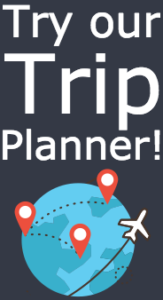 In fact, most hotels and many tour and tourist-orientated transports will quote their prices in dollars. So you will actually do better in these cases by paying for these services in US$ cash as you will not be subject to the exchange rates used by the business. If you’re exchanging US$ cash for colones you will do marginally better by lining up at a bank so it is worth it if you are exchanging larger amounts. Or just withdraw colones from an ATM directly. What kind of money should I travel with? I find it easiest to travel with US$ and colones cash, topping up at ATMs where needed. All ATMs will dispense Costa Rican colones and most will also offer you the choice of withdrawing US dollars as well. ATMs are quite plentiful in most of Costa Rica. Do not rely on merchants taking credit cards or especially travelers checks. And expect long lineups to exchange non-US$ cash (Euros, Pounds, Canadian dollars, etc) or travelers checks at a bank. I find it best to carry both US$ and colones. Dollars for large purchases such as hotels, tourist shuttles, etc. Colones for restaurants, taxis, etc. But if you’re going to be in Costa Rica a week or less you can probably get away with just bringing or withdrawing dollars and then expect to get a little bit of colones in your change from restaurants, etc. Are ATMs widely available? Do they take all cards? 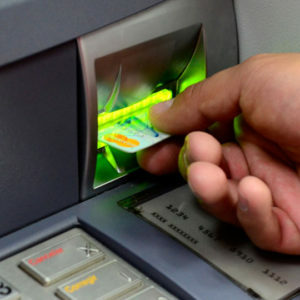 Most Costa Rican towns have a multitude of banks as there are a surprising amount of bank chains operating in Costa Rica and virtually every bank will have an ATM. Some ATMs close overnight for security reasons. Some ATMs are Visa/Plus affiliated and some are Mastercard/Cirrus affiliated and some are both so you should be able to find one that works with your card. Check with your bank before you leave home how much they will charge you for each withdrawal though, it can be substantial. Costa Rican bank ATMs do not generally access a fee on your withdrawal though at least. I have though seen a Costa Rican bank where I withdrew US$ but the amount was converted to colones by the Costa Rican bank and then my bank converted back to dollars so there was a loss of some 4 or 5%. Banco de Costa Rica does not do this so if you have a US$ account, you should be able to withdraw only at the cost of your home bank ATM fees. Try not to use credit cards wherever possible. Many small businesses do not accept them because they are assessed huge fees by the banks. If you do accept them, they may tack on a fee to use them. In fact it is not uncommon to see a hotel state that the national 13% hotel taxes will only apply if a credit card is used. 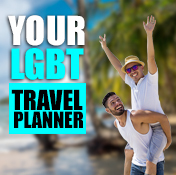 Make sure you clarify this with your hotels before arriving. 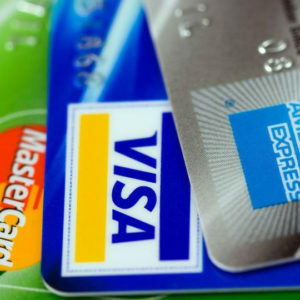 Large chains, supermarkets and gas stations are the places where your credit card is most likely to be welcomed without complaint or extra charge. Another thing to keep in mind is that although hotels and other tourist businesses will likely quote prices in US$, if you use your credit card they will probably charge you in Costa Rican colones. They will convert the dollar amount to colones and your bank will convert it back to dollars (or your home currency) so you will end up paying 2-5% more. This is not always true, some businesses charge credit cards in dollars. You may also want to let your credit card company know before you leave that you will be using your card in Costa Rica so they do not flag its use as fraudulent and deny your charge when you most need it. Almost no businesses in Costa Rica accept travelers checks. You will have to exchange them at the bank. Even then, most banks will only accept US$ travelers checks. I’ve heard horror stories of travelers waiting 3+ hours in a bank lineup for the one bank that would accept their Canadian $ traveler check – and that was on the Pacific where at least that bank was there. In a smaller community that choice may not have existed. What about Euros or Pounds or Canadian dollars? You will have to line up at a bank to exchange these. And not all banks will deal with these currencies either so this is definitely not recommended. You may also be subject to double exchange where they convert your money to US$ and then to colones. Is there an ATM/Bank at the International Airport? There are a number of ATMs at the San Jose and Liberia International Airports. In San Jose, there is only 1 in arrivals but if it isn’t working or doesn’t take your card (most ATMs in Costa Rica are either Visa/Plus or Mastercard/Cirrus only, not both), head upstairs to departures where there are several more. There is also an exchange business in the airport that will exchange all currencies however their rates are known to be very poor so we do not recommend buying colones here. Use the ATM instead or pay a taxi driver in dollars and exchange funds at a bank in town. You can your fare into San Jose using the official taxi stand inside the arrivals area in US$. On departure, you can pay your departure tax in dollars, colones or with a credit card.